Home Facebook Tips How to Tech Tip Twitter Tricks How to automatically post your twitter updates on your Facebook Wall? 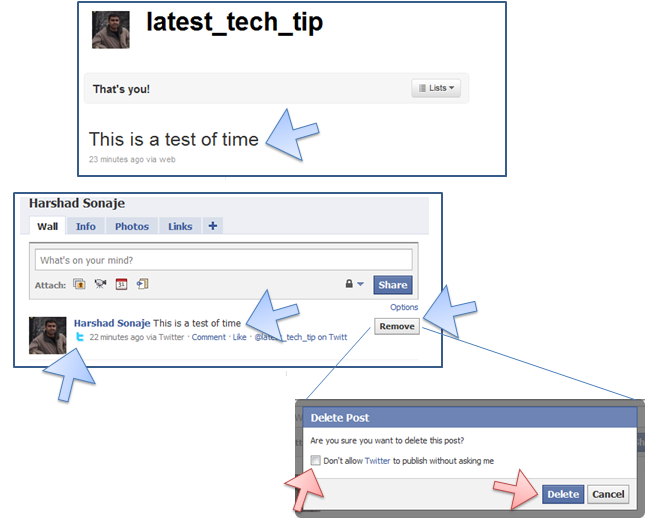 How to automatically post your twitter updates on your Facebook Wall? 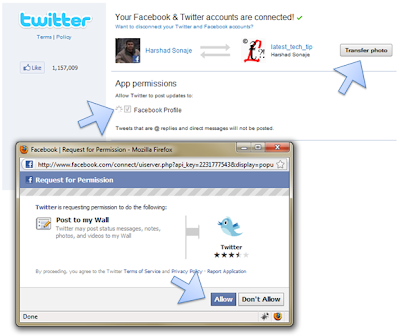 Did you ever find the need to automatically sync your twitter updates directly on your Facebook wall? This is very useful when you want to make sure your status is updated at both the places simultaneously. 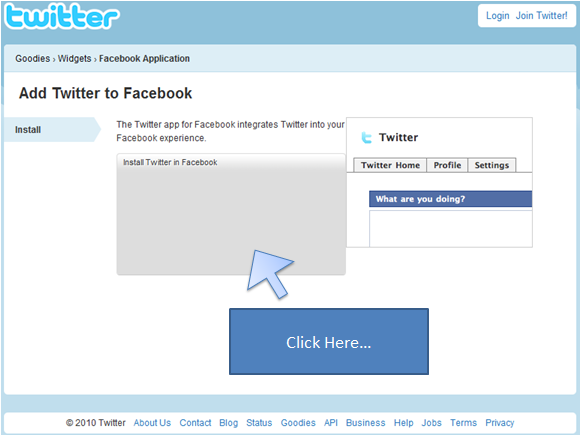 You can use this feature to promote your website updates posted on twitter automatically in Facebook. This comes in very handy and is really very much time saving. Here is how you enable it. Visit the Twitter Facebook Goodie click on the big Grey button. Allow Twitter Permission to Access your Facebook account's basic profile information. 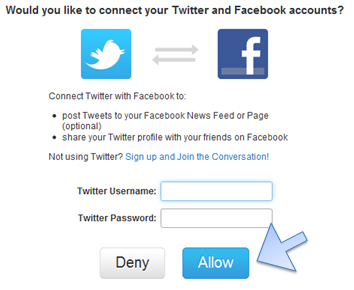 Login to your twitter if required. You can also replace the Twitter pic with Facebook. 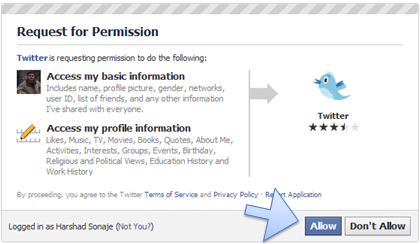 Click on the small check box which says Allow twitter to post updates to Facebook Wall. You will see a pop up just press Allow button. Just post any update on twitter. Just login to your Facebook account and check your Wall. You should see the twitter update on your wall. Just hover over any update posted from twitter on Facebook's Walls post's Right corner. You will see a remove button visible. 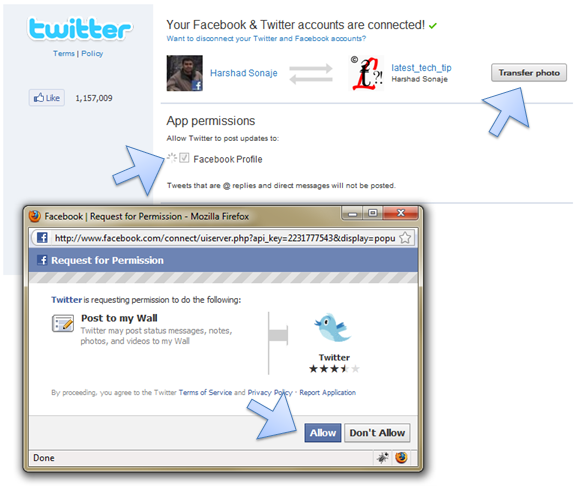 Just click on it and you will see a small pop up which will give you option to disable twitter from posting updates. Just click on the check box and click on Delete. I am defiantly going to use this functionality to update my blog posts in Facebook and Twitter. Hope you find it useful somehow too. Also Read: More FaceBook Tricks and Twitter Tricks. If you run into any issues just post a comment I shall try and solve it for you.